The power of SingSnap karaoke in the palm of your hand. 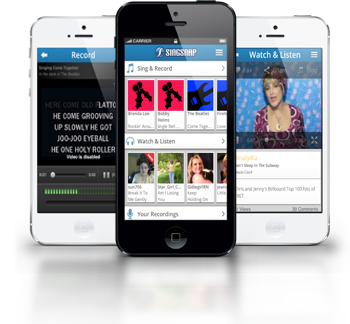 Take SingSnap Karaoke with you wherever you go. ... Finally an app that allows me to sing without having to set up mixers, microphones and all that jazz. The SingSnap app allows me to sing anytime anywhere. ... Easy to navigate. For app recordings, the video and sound are both amazing! ... This app is amazing!! I've got to have the slowest phone in the world, but you wouldn't know it when using the app. Record Video or Audio Only. 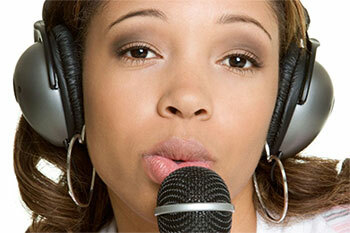 Sing duets with one or multiple singers..or harmonize your own recordings. Receive comments on your recordings, or comment on others. Send private messages to friends! Share your recordings on Facebook, Twitter, Google+ or email. Share your recording with the world or keep it private! Share and play your recordings right on your Facebook timeline! Personalize your profile and recording pages with custom backgrounds and styling! Store your recordings / Up to 100 for standard memberships, unlimited for gold memberships! Spice up your videos with fun effects! Change the pitch of the song to better suit your vocal range (gold membership feature)!